I read this article and found it very interesting, thought it might be something for you. 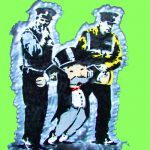 The article is called How to Create a Bottom-Up Stimulus Machine to Fix Capitalism and is located at http://evonomics.com/dont-ditch-capitalism-tax-extractive-side-effects-fuel-growth-barnes/. THE LONDON UNDERGROUND abounds with warnings to “mind the gap,” referring to the space between station platforms and train doors. In our larger society similar warnings could be issued for the gaps between rich and poor and between humans and nature. These gaps must not only be minded, they must also be narrowed. The persistent question is how to do this, and I con­tend that a form of rent may be the best possible tool. But before we get to that, we must first become familiar with rent. In Smith’s view, landlords benefited from land’s unique ability to enrich its owners “independent of any plan or project of their own.” This ability arises from the fact that the supply of good land is limited, while the demand for it steadily rises. The effect of landowners’ collection of rent, he concluded, isn’t to increase society’s wealth but to take money away from labor and capital. In other words, land rent is an extractor of wealth rather than a contributor to it. A century later, a widely-read American economist named Henry George (his magnum opus, Progress and Poverty, sold over two million copies) enlarged Smith’s insight substantially. At a time when Karl Marx was blaming capital­ists for expropriating surplus value from workers, George blamed landlords for expropriating rent from everyone. Such ­rent­ extraction operated like “an immense wedge being forced, not underneath society, but through society. Those who are above the point of separation are elevated, but those who are below are crushed down.” George’s proposed remedy was a steep tax on land that would recapture for society most of landowners’ parasitic gains. More recently, the term has been further extended to include income from privileges granted by government—import quotas, mining rights, subsidies, tax loop­holes and so on. 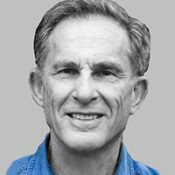 Many econo­mists use the term “rent-seeking” to describe the multiple ways special interests use govern­ment to enrich them­selves at the expense of others. If you’re wondering why Washington, D.C. and its envi­rons have grown so prosperous in recent decades, it’s not because govern­ment itself has become gargantuan, it’s because rent-seeking has. BECAUSE RENT ISN’T LISTED separately on any price tag or corpor­ate in­come statement, we don’t know exactly how much of it there is, but it’s likely there’s quite a lot. Consider, for example, health care in America, about one-sixth of our economy. There are many reasons the U.S. spends 80 percent more per capita on health care than does Canada, while achieving no better results, but one of the biggest is that Canada has wrung huge amounts of rent out of its health care system and we haven’t. Every Canadian is covered by non-profit rather than profit-maximizing health insurance, and pharmaceuti­cal prices are tightly controlled. By contrast, in the U.S., drug companies overcharge because of patents, Medicare is barred from bargaining for lower drug prices, and private insurers add many costs and inefficiencies. Then there are commercial banks’ cousins, investment banks, which are in the business of trading securities. They can’t mint money the way commercial banks do, but they have tricks of their own. For one, they charge hefty fees for taking private companies public, thus seizing part of the liquidity pre­mium public trading creates. For another, they make lofty sums by creat­ing, and then manipulating, hyper-complex financial “products” that are, in effect, bets on bets. This pumps up the casino economy and extracts capital that could otherwise benefit the real economy. SO FAR I’VE DESCRIBED rent as a negative force in our economy. Now I want to introduce the concept of virtuous rent, a form of rent that would have distinctly positive effects. A perfect example of virtuous rent is the money paid to Alaskans by the Alaska Permanent Fund. Since 1980, the Permanent Fund has distributed equal yearly divi­­dends to every person who resides in Alaska for one year or more. The divi­dends—which have ranged from $1,000 to $3,269 per person —come from a giant mutual fund whose beneficiaries are all the people of Alas­­ka, present and future. The fund is capitalized by earnings from Alaska’s oil, a commonly owned resource. Given the steady flow of cash to its entire pop­u­la­tion, it’s not surprising that Alaska has the highest median income and one of the lowest pover­ty rates of any state in the nation. 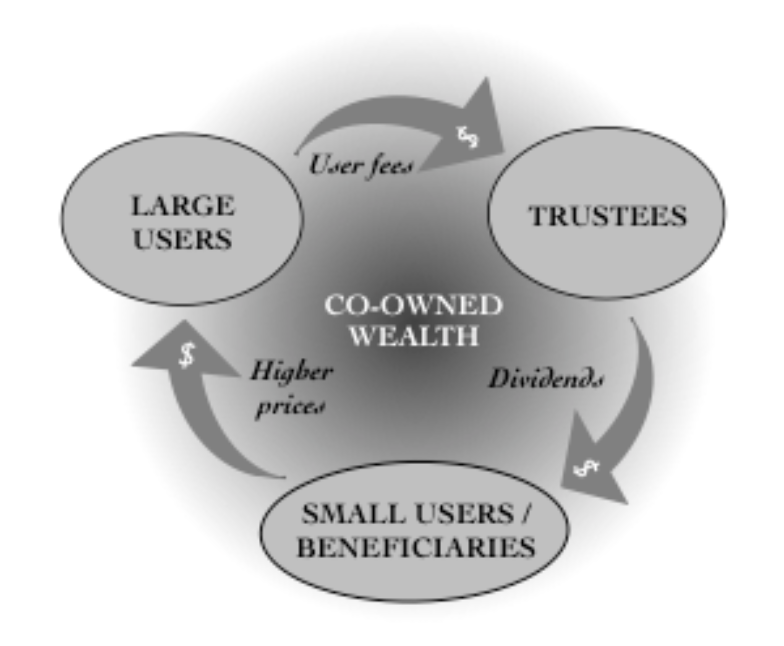 Yet another chunk of common wealth is what might be called “wealth of the whole”—the value added by the scale and syner­gies of our economy itself. The notion of “wealth of the whole” dates back to Adam Smith’s insight two-and-a-half centuries ago that labor specialization and the exchange of goods —pervasive features of a whole system—are what make nations rich. Beyond that, it’s obvious that no business can prosper by itself: all busi­nesses need cus­­tomers, suppliers, distributors, highways, money and a web of comple­men­tary products (cars need fuel, software needs hardware, and so forth). So the economy as a whole is not only greater than the sum of its parts, it’s an asset without which the parts would have almost no value at all. Almost all economists accept the need to “internalize externalities,” by which they mean making businesses pay the full costs of their activities. What they don’t often discuss are the cash flows that would arise if we actually did this. If businesses pay more money, how much more, and to whom should the checks be made out? In theory Pigou’s idea makes sense; the trouble with it lies in imple­mentation. No western government wants to get into the business of price-setting; that’s a job best left to markets. And even if politicians tried to adjust prices with taxes, there’s little chance they’d get them “right” from nature’s perspective. Far more likely would be tax rates driven by the very corporations that domi­nate government and overuse nature now.